One of the major ingredients of our daily food intake, vegetables also plays a vital role for natural resource of minerals and vitamins required for body to remain healthy and fit. Without this we can't imagine the sabzi and flavour of indian food for which it is known to be. Fresh bakala.com is perfect spot for buying Fresh Vegetables & Fruits in Rajkot, offering fresh and a completely hassle-free service at compatible rates. Payment Mode: Cash on Delivery. Get the best prices and the best online Vegetable shopping experience every time. Our main aim is to provide a best customer experience with an assortment of finest local and international vegetables and fruits with highest level of service. QUALITY POLICY Fresh Bakala.com takes pride in its stringent quality standards. We take the utmost care and precautions to ensure that each day our customers get nothing but the very best across all our products, services & interactions. All fresh vegetables and fruits are retailed at our stores are procured on a daily basis. These are delivered every morning to the stores. Stale and old produce of the previous days is discarded. This ensures that our consumers always get to choose from a wide variety of the freshest vegetables and fruits. Cancellation Policy : Customer can call customer service number and cancel order prior to confirmation, once order is confirmed and processed it can’t be cancelled. However, if there are changes in the delivery time you mentioned earlier in your order or need to add more products, you need to call us. Return & Refunds : We have a "no questions asked return and refund policy" which entitles all our customers to return the product at the time of delivery if due to some reason they are not satisfied with the quality or freshness of the product. We will take the returned product back with us and make the necessary adjustments to your order value. 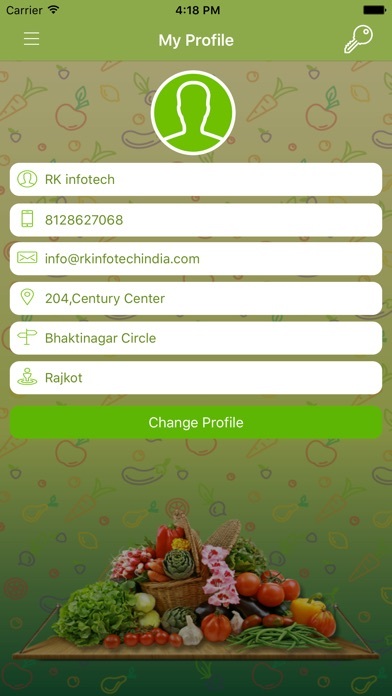 Fresh Bakala.com mobile app content..... We thought why not to make the life of people easier by providing them with vegetables and fruits at their home. 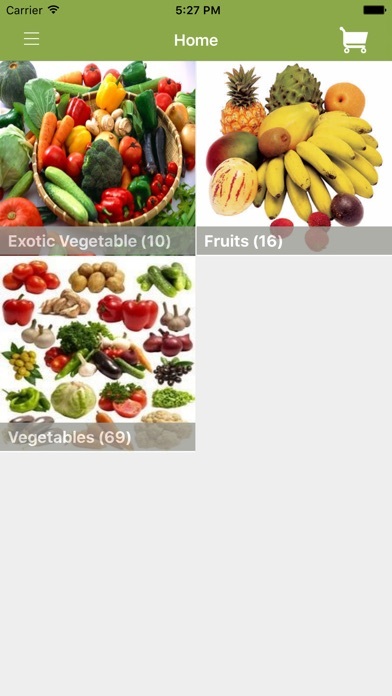 It's a mobile world and Fresh Bakala.com brings fresh vegetables and fruits in your Pocket. Fresh Bakala.com is perfect spot for buying Fresh Vegetables & Fruits in Rajkot, offering fresh and a completely hassle-free service at compatible rates. Download our apps to shop easily on the go, whether in a bus, in the park or any other place. You order it and we deliver it. 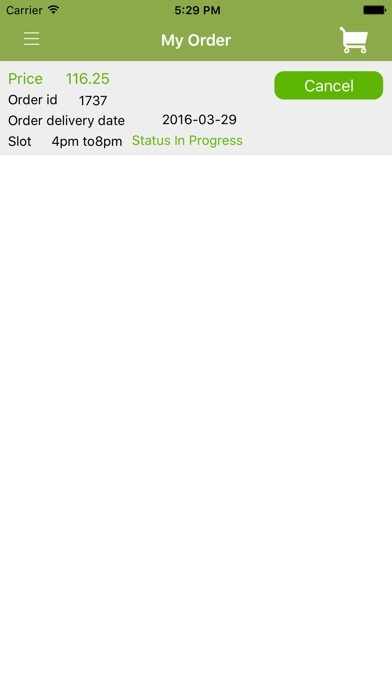 Use the My Order feature to browse frequently bought items. 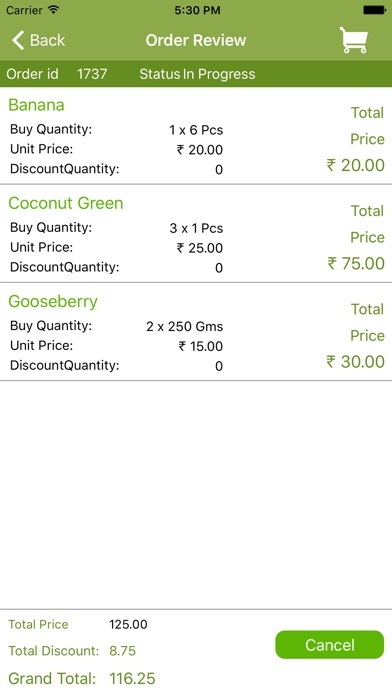 Save time and money, shop at Fresh Bakala.com mobile app. Our main aim is to provide a best customer experience with an assortment of finest local and international vegetables and fruits with highest level of service.